“Buying or selling a home is a very personal and concentrated commitment," said Valerie Kirkpatrick, President, Broker/Owner, Covenant Realty Corporation. "We facilitate the process for clients to have richer and more peaceful experiences." Covenant Realty Corporation, a relational, referral-based residential real estate firm, announces its new office location. Previously headquartered in Plano, Covenant is now located in the 16-story, blue glass, high-rise building known as Palisades Central II at 2435 N. Central Expressway, Suite 1150, Richardson, TX 75080. The move reflects the firm’s growth and momentum towards a heightened level of service and offerings for its current and potential clients. Since its inception in 1997, Covenant’s focus is on client relationships and providing the highest-level of attention and care to establish enduring trust. The firm’s move to new headquarters is synchronous with its philosophy of doing relational rather than transactional business with its clients. Covenant is with its clients before, during, and after the real estate transaction. The office boasts an environment and “state-of-the-art” technology that offers clients the opportunity to experience superior service from their initial interaction with Covenant. For example, the firm now offers virtual tours of potential homes for buyers without the need to engage in the traditional approach of driving from one home to another. Within the comfort of Covenant’s conference room, buyers view and select the properties they would like to see prior to leaving the office with one of the firm’s realtors. Moreover, such a process allows the Covenant team to become better acquainted with the clients and understand their needs and interests. 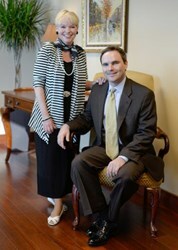 With Covenant’s move to new offices, the firm has recruited and expanded its staff. New additions include three buyer specialists, Ryan Pope, Kelly Pope, and Cassandra Stahl. Susanne Kammerer has joined Covenant as transaction coordinator. “Most importantly, this philosophy and mission benefits our clients with whom we have fully invested relationships and attribute our entire success,” added Kirkpatrick.